South Korea should speed up its move to join a multilateral Pacific trade pact signed by 11 regional nations to cushion the blow from a potential trade war, analysts said Sunday. The advice comes as U.S. President Donald Trump’s protectionist measures are changing the economic landscape and reshaping the world trade order. Against Trump’s America First strategy, a growing number of nations are seeking to enter larger multilateral trade pacts that will ensure free trade with no tariffs and barriers. 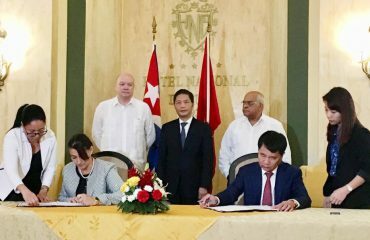 The latest development is the signing of the Comprehensive and Progressive Agreement for Trans-Pacific Partnership (CPTPP) in Santiago, Chile, March 9. 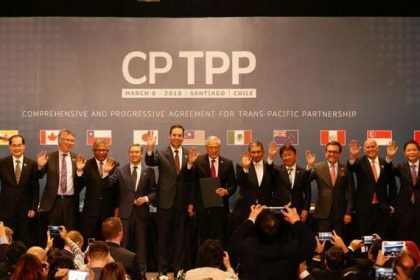 The revived version of the TPP represents 500 million people and accounts for 13.5 percent and 15 percent of global gross domestic product and trade, respectively. 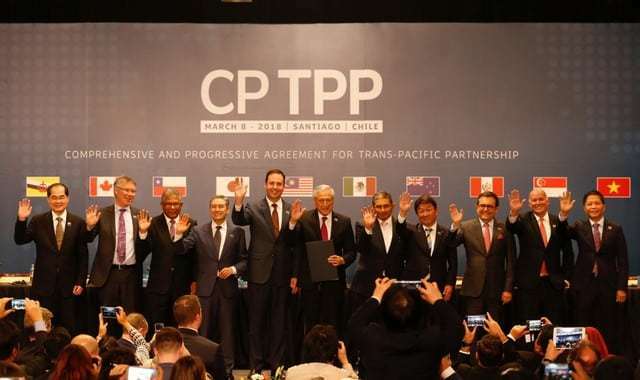 “Once the CPTPP is implemented and begins the process for new members to join, accession should be a priority for South Korea and the CPTPP members,” Troy Stangarone, senior director at the Korea Economic Institute (KEI) based in Washington, told The Korea Times. He pointed out that while the China-led Regional Comprehensive Economic Partnership (RCEP) will provide South Korea with increased market access in Southeast Asia, the CPTPP will be the more important agreement in the long-run. 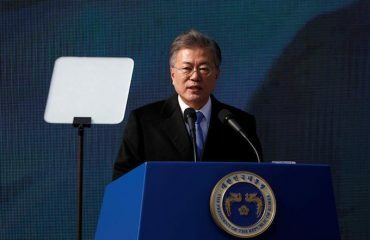 “As a major trading nation Korea has prioritized market access through the reduction of tariffs historically, but as services and technology become increasingly important, ensuring that there are enforceable rules in place should be a priority for any Korean government,” he said. The revamped TPP, which is scheduled to kick off in the first half of 2019, is open to new members. The 11 current members are Australia, Brunei, Canada, Chile, Japan, Malaysia, Mexico, New Zealand, Peru, Singapore and Vietnam. 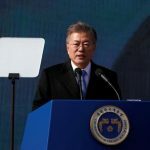 Korea has remained lukewarm about the Pacific trade pact since the U.S. withdrew from it immediately after Trump took office early in 2017. 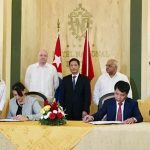 On March 13, Finance Minister Kim Dong-yeon said that the country will decide whether to join the CPTPP in the first half of the year. The analysts said that although Korea has signed FTAs with many countries, joining multilateral pacts would be a better option because it will make it easier for the nation to form a united front against America’s protectionism and China’s rise in global trade. “In general multilateral trade agreements are preferable to bilateral trade agreements,” said Sohn Sung-won, an economics professor at California State University-Channel Islands. The RCEP is a China-led mega-regional economic agreement being negotiated between the 10 ASEAN (the Association of Southeast Asian Nations) governments and their six FTA partners ― Australia, China, India, Japan, New Zealand and South Korea. Antonio Fatas, a Singapore-based economics professor at global business school INSEAD, concurred. “Trade agreements with other countries are becoming more important given the unpredictable behavior of the U.S. Even if those agreements are not perfect, they are necessary,” he said. If the U.S. decides to join the CPTPP, other countries, including Thailand, Taiwan and Britain are expected to follow the suit. Trump recently hinted that the U.S. may rejoin the revived TPP “if better terms could be negotiated.” Since the withdrawal of the U.S., Japan has led its resurrection. Experts said that Korea should pursue a two-track strategy by maintaining sound relations with the U.S. and China, given its dependence on the two biggest markets. “Korea in the long term will be more aligned with China than with the U.S. It’s a matter of proximity,” said Mauro Guillen, director of the Lauder Institute at the University of Pennsylvania’s Wharton School.